Written by Glen Humphreys, Village Games Co-ordinator on 02 March 2016 . We were able to send a very strong team along to the UEA today to take part in the Village Games Rounders event. The team consisted of Ben, Tom, Nic, Miles, Josh, Ellie, Archie, Hugo and Milo and were once again looked after by Amy as their coach. We knew we had a strong team but were up against some large villages including 2 teams from Hethersett and teams from Downham, Briston & Melton Constable, Hainford & Stratton Strawlesss and the Lophams. However, we started off strongly with a win and this pattern continued throughout the afternoon and although we came up against some very good teams they were no match for us and we ending up winning every single game (most quite comfortably) with every member of the team playing their part. 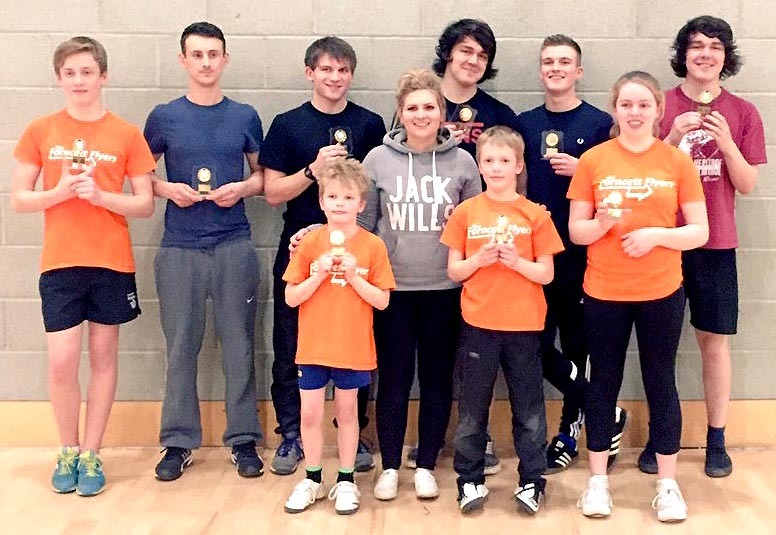 The whole team were presented with individual trophies at the end of the day and will hopefully feature on Active Norfolk's website during the week. Thanks once again to all who took part and for the support of those that went along to watch. Written by Phil Whiscombe on 25 January 2016 . The speed awareness sign (SAM2) reported in a previous Flyer as being purchased by the Parish Council was delivered in November and is now being employed around the village by a team of four volunteers - Harry Bowers, Keith Fromings, Philip Yull and the writer. Locations for the signs, on stretches of road limited to 30 mph, have been designated by Norfolk County Council’s highways department. There are 3 locations in Forncett End on the Norwich Road (B 1113) and the Long Stratton Road and 3 locations in Forncett St Peter on Mill Road and Low Road and generally the sign will only remain in each location for a maximum of about two weeks. Most drivers will be aware of the SAM2 signs - they are vehicle activated and indicate clearly to the drivers of oncoming vehicles their speed in mph. If they are exceeding the speed limit a flashing warning sign will entreat them to ‘SLOW DOWN’. The actual vehicle speed will continue to be displayed up to 39 mph but above this no speed is indicated so as not to further encourage those drivers who might see a challenge in seeing how high a speed they can generate on the sign although the warning sign will continue to flash. This latest generation of sign also records the number of vehicle movements and the speed of any vehicle when it activates the sign. We now have recorded data from the initial three locations and the results are in the table below. ‘A’ - outside Austhorpe House adjacent to the bus shelter on Norwich Road (B1113) northbound. ‘B’ - on the bend outside the Methodist Church on Long Stratton Road westbound. ‘C’ - on the Mill Road hill westbound (recorded over the Christmas and New Year periods). 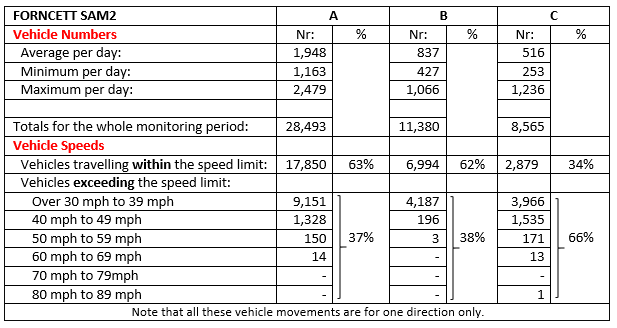 Overall an average of 43% of drivers on our village’s main roads exceeded the statutory 30 mph speed limit. A significant proportion of these do so at speeds that shows little regard for the safety of the village and its residents. It’s also worth noting that these higher end violations were not all recorded at the dead of night as might be expected, there being a fairly even spread throughout the full 24 hour periods including the daytime peak periods. Top Speeding ‘prizes’ go to drivers of vehicles on: Norwich Road (B 1113) northbound on the 10th December at 10.20 am clocked at between 65 and 70 mph, and, Mill Road westbound on the 24th December at 6.20 pm clocked at between 85 and 90 mph. We’ll continue to update this information in future editions of the Flyer. Written by May Prior on 05 January 2016 . 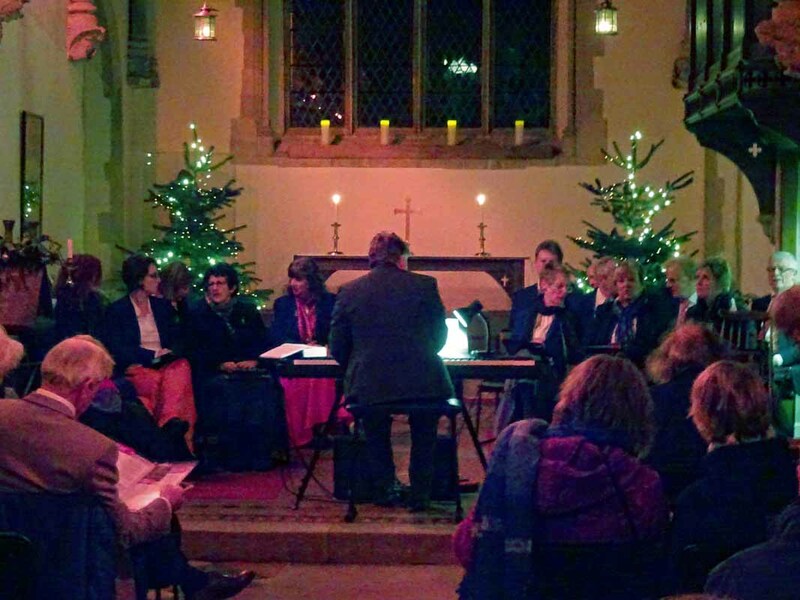 Carols by Candlelight on 4th December at St Mary's was once again well attended. The singing was helped by 'Dolce' choir who also performed four pieces including Away in a Manger and O Holy Night. We have been contacted by staff at the Roman Catholic Shrine at Walsingham, as they no longer have any need for the medieval font, originally from St Mary's Church, it will be returning to the Church, and should be installed in the next few months. This will be of interest to anyone who was christened there years ago when the font was used, and we'd like to hear from you. There are a number of good quality 2nd hand books for sale in the church, do pop in and have a look if you're passing. Written by on 02 December 2015 . VERY few households will be able to resist the lure of a box of supermarket mince pies over the coming weeks, so the Ladies Who Lunch team stayed at home and tested ten boxes and packets of mince pies that are easily available to people in most areas. Our brief was simple; sample a piece of mince pie and mark it out of 5 for; taste; appearance; amount of fill, and general ‘integrity’ which encompassed all other aspects including whether they came out of the box in bits to how uniform they were, and whether they had leaked any filling, or had excessive amounts of twig and pips in. Also the calories, (but you don’t want to know about that! Except that the Co-op was highest at 263 per pie!). and number of ingredients was noted. Three sets of pies came in plastic cartons (from instore bakeries) and two of them were without information.